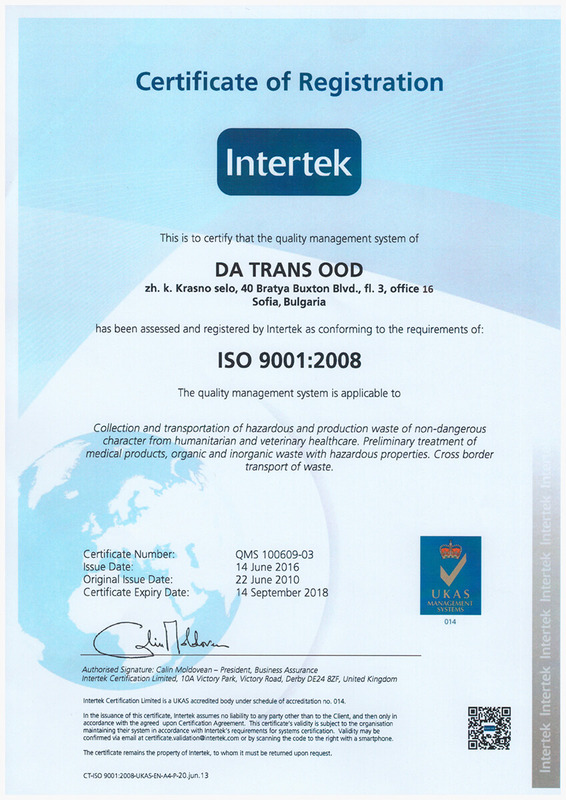 Permits – Da Trans Ltd.
Licence № 12-DО-1209-01/26.02.2013 for handling waste. Registration document № 12-RD-874-01/25.07.2016 for activities involved in waste collection, removal and transport. 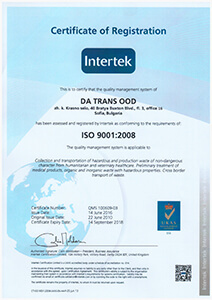 “Da Trans” Ltd. has been certified in accordance with ISO 9001:2008 since 2010.